Reef Service Video Takes 1st Place! A segment from the TISIRI television show production "Sunken Conservation" recently took first place in the Swim Shorts Film Festival. 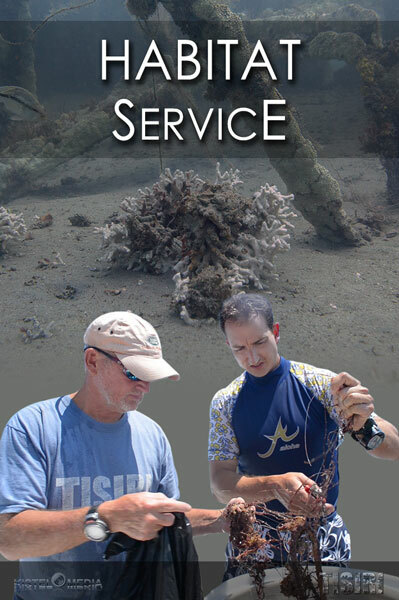 The video entered into the contest was titled "Reef Habitat Service" and featured the hands-on underwater conservation efforts of TISIRI divers. We were grateful for the opportunity to submit the story in the film festival and proud and appreciative of our 1st Place win in the professional entry category. We thank the organizers and supporters of the Swim Shorts Film Festival.